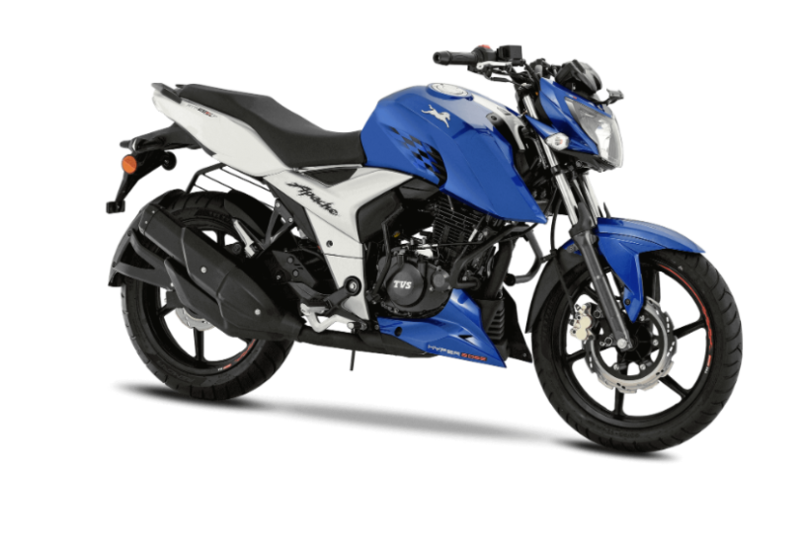 TVS has launched the ABS equipped variant of the Apache RTR 160 4V in India. Priced at INR 98,644 (ex-showroom Pune), this move was bound to happen as all motorcycles with engine capacity higher than 125cc will need to be equipped with ABS by or before the end of this fiscal year. Obviously, the TVS Apache RTR 160 4V gets a disc brake on the front and rear wheel. The ABS unit though is just a single-channel version. Which means that the front wheel is operated under the guidance of the ABS unit, which prevents the front wheel from locking in emergency braking situations / hard braking. In terms of price bump, the ABS version is roughly INR 7,000 more expensive than the non-ABS model. For now, only the fuel-injected version of the TVS Apache RTR 160 4V has been updated with ABS, but we’re sure the other variants will also get this safety feature very soon as the deadline is inching closer. Powering the TVS Apache RTR 160 4V is a 159cc, single-cylinder, oil-cooled, 4-stroke motor producing 16.6 BHP of power and 14.8 Nm of torque with the FI unit. The carburetor model produces 16.2 BHP of power and the same torque figure. The bike gets a 5-speed gearbox. Equipment includes a KYB telescopic front fork and a rear monoshock. Rivals for the TVS Apache RTR 160 4V include the Suzuki Gixxer, the recently launched Yamaha YZ-V3.0 and the Honda CB Hornet 160R.